As a former small business owner, I understand the difficulties of long-term planning. That’s why I voted last week for a bill to provide more certainty in the U.S. tax code. America’s Small Business Tax Relief Act of 2014 helps business owners and farmers expense new equipment and invest in growing their business. It sets permanent, higher expensing limits under Section 179 of the tax code. It allows small businesses to deduct up to $500,000 of investments in new equipment in one year, instead of overtime, making it easier for them to make decisions about a big purchase. 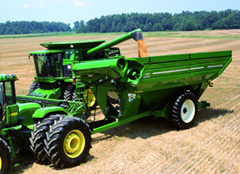 This is especially important for farmers, who rely on increasingly expensive agricultural equipment to feed and clothe America. Earlier this year, I wrote a letter to Congressional Leaders pushing to extend Section 179 expensing levels to provide certainty for our small business owners and farmers. I’m proud the House passed this common-sense bill to allow them to invest in their own growth, and spend more resources producing and creating American jobs.